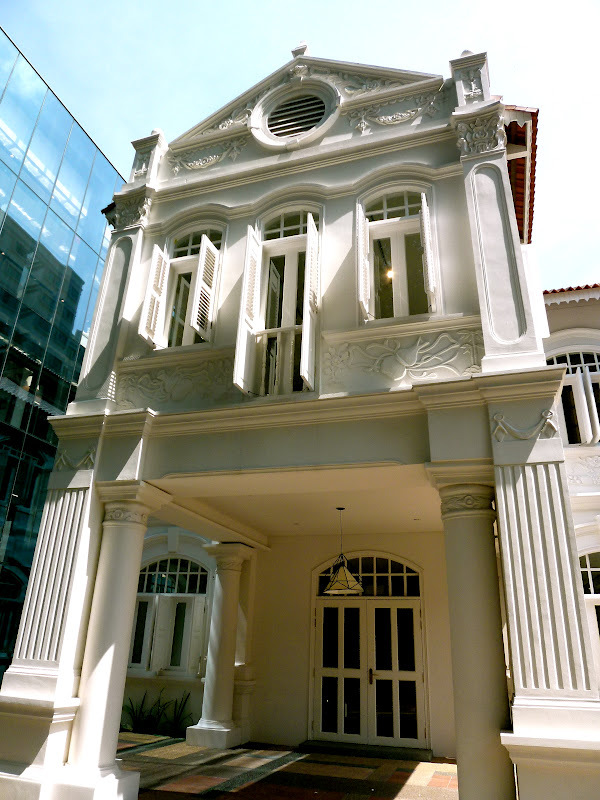 After spanish class, my friend and I were just roaming about Bugis street when we spotted this beautiful Heritage house standing next to a glass house of about 4 storeys high! We thought it was a museum with its colonial architectures but on hindsight, maybe it’s a private property or a rented office building. We both took a few steps closer to the heritage house and were surprise to see elegant and modern furnishings within the house. Ah-huh! Maybe it’s a HUGE furniture store. I would love to live in a heritage house like this, wouldn’t you? Magnificent glass house with reflecting glass walls that reflect that heat. Doesn’t it looks like the white house is right inside the glass house? Furniture moder-concept retail store that sells furniture of different brands. 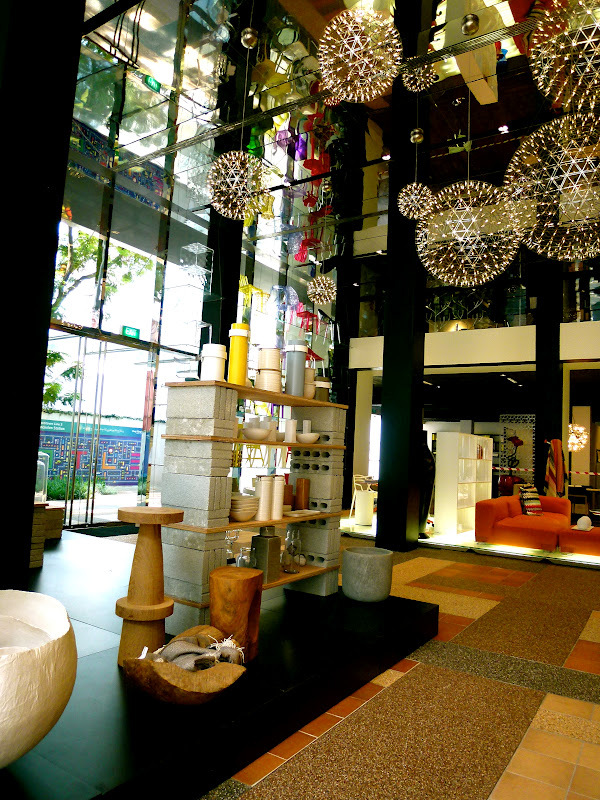 Located right at Bencoolen street, right at the heart of Singapore’s arts and civic district (Bugis). What Space actually does is to gather furniture pieces from various designers or brands and display them in their spacious gallery for sale. They’ve got brands like Acerbis, Maxalto, Louis Poulsen and many other well-know designer brands. Well, it’s not like I knew a thing or two about furniture and home designing in order for me to rate and comment their products. Rather, I would like to share about some innovations and inspirations behind some of the furniture pieces I saw in the gallery. To me, every piece of furniture is an artwork which the designers spend several days,month or even years to create their masterpieces which are not only functional and practical but also aesthetically pleasing to the eyes. A word of caution, intricate furniture such as the ones by Louis Poulsen is not your everyday no-frills furniture pieces available at IKEA. Some of the furnitures here can cost as much as an automobile. The thick furry green carpet resembles the luxurious tuft of fresh green grass in the open fields. Stepping barefoot on the grass-like carpet would have made you felt like you are out in garden or fields. This really spells the word “freedom” and “nature”. If I had tonnes of money and owned a terrace, I would consider this garden-theme design for my living space. Afterall, I’m a Taurean who can’t live anywhere else apart from nature. Quirky and funky but stylish and contemporary. Looking at the soft and comfy bed just makes you want to jump into it quickly,hide under cosy comforters and snuggle with the one whom is always stood right beside you. Do you always have to think straight? Adding some curves in life or running through bends wouldn’t do any harm. Consider investing a bookshelf with a perfect curvature to remind you about the several interesting bends you have to undergo in life. You can’t attest the fact that the two cushion seats do look really inviting, can you? Where’s our Vintage High Tea, honey? How about reading a good book while basking under the sun in a beautiful lucious green environment such as this? When the babies comes in, add some colours into your living space to spur their creativity and thinking. Too stress or couped up with work? The open space here will bring balance and harmony to your life. During the day, soak yourself with sunlight for that healthy glow on your skin. During the night, bathe under the moonlight with some champagne or red wine. Maximise your living space. This new modification to sofas would encourage you to display your beautiful sofa in the middle of your living room. Do sofas, these days, need to be placed against the wall? Think again. Oh, by the way, a partial amount of the cost price goes to reward the innovations behind the artpieces. This is one great example. Floral prints adds that feminine and romantic touch to the furniture. But would men ever dare to utilise this? For the aristocrats, this could be one of their most frequented stores when furnishing their new and swanky home. For us, commoners, this is one great place for us to go window shopping to stare,admire,hope and envision that one day this furniture will be seated right in our houses. For those who felt like they didn’t share the same vision as I do, Space will be one of the exciting museums for you to explore art and to learn the interaction between art and space.